Rather than doing a complete refresh to Weidert Group's "old" website, we re-launched it using a GDD approach: created and prioritized changes to be made, monitored ongoing activity and measured the results — all based on data. 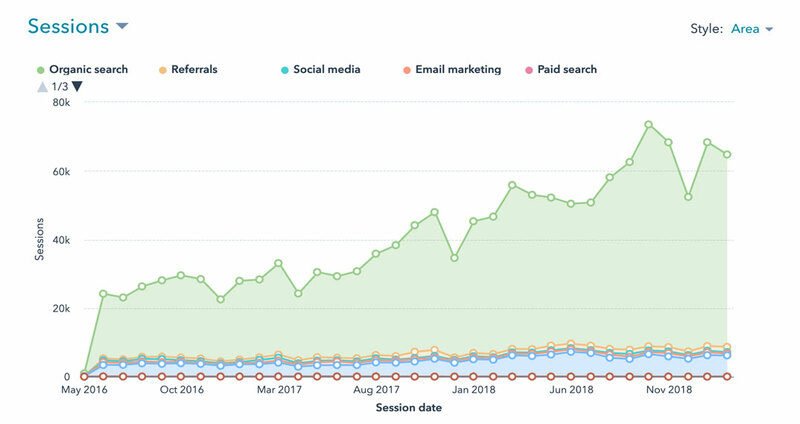 This kind of continuous improvement is a standard component of our inbound marketing program and of many of our clients' programs. Despite continually growing traffic numbers, our site did not have a great user experience and was attracting too many leads that didn’t fit our “best prospects” criteria. 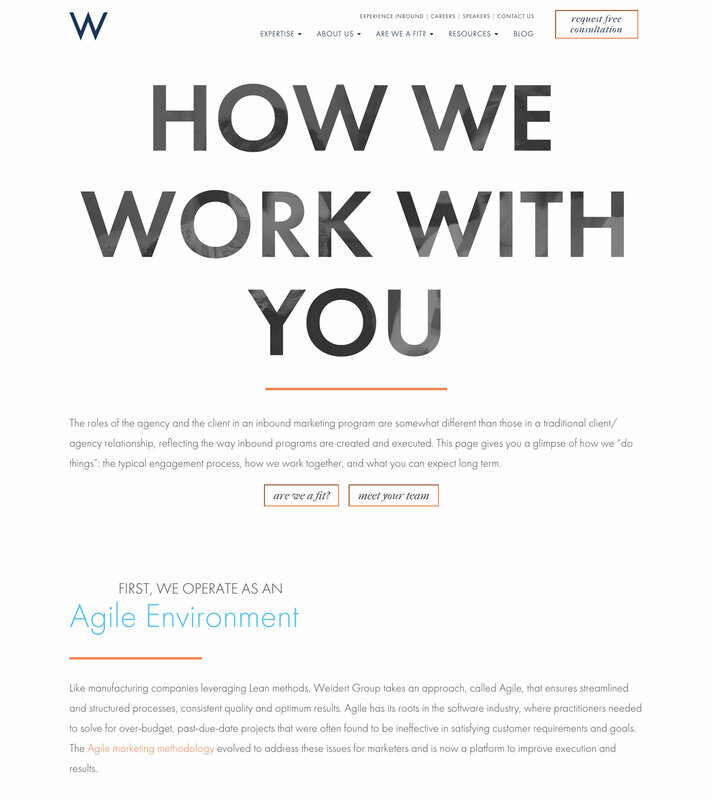 The site’s design was also in need of an update. The overall goal was to attract better quality leads to our site; secondary goals were to improve the visual appeal of the site and to make the user experience more intuitive and productive. We rolled out an abbreviated “launchpad” site that included site features/components deemed high-priority, then executed (and continue to execute) regular cycles of improvement, making changes and additions based on user data gathered through web analytics. We also implemented a new brand strategy that includes bolder, more engaging visuals, updated color palette, fonts and iconography, and other enhancements designed to better communicate our value. In the first 6 months after launching the new "launchpad" site and monthly GDD cycles we blew our goals out of the water. We learned in detail how visitors used (and didn’t use) our site, what pages are most interesting to them, what topics they’re attracted to and much more. That data is used to make ongoing improvements and optimize the site’s performance each month. We couldn’t be more excited to see the growth we have achieved not to mention all the things we have learned by implementing GDD. 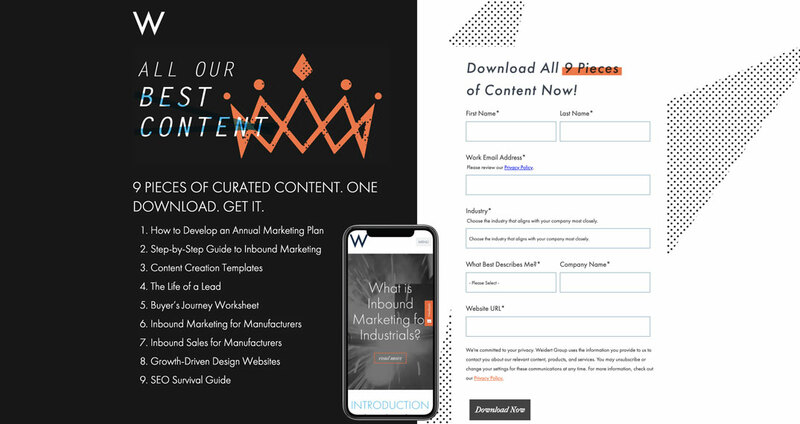 Taking this approach has taught us so much about how our visitors use our site, the things they are interested in, and so many other insights that have helped us improve our own inbound marketing program and those of our clients. We get very excited explaining the tremendous opportunity inbound marketing represents to companies just like yours. If you’re curious, reach out and we’ll set up a time to talk.